Nirenstein, Horowitz & Associates provides elder law and estate planning services in New London County, CT and surrounding areas. The services our legal team provides are focused on meeting your needs and helping you to make effective use of legal tools that allow you to plan for your future. From saving for retirement to addressing what happens if you’re incapacitated to preparing for end-of-life issues and death, there are a lot of things you need to do to protect your own security and autonomy and to protect your loved ones. 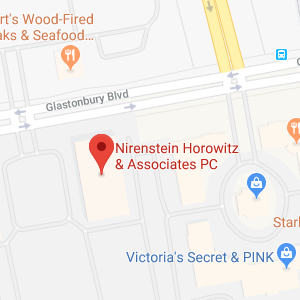 Nirenstein, Horowitz & Associates will help you to set goals, define steps you can take, and carry out your plans for the future. Give us a call at 860-548-1000 or contact us online to to find out more about the ways in which our legal team serves the county of New London, Connecticut. New London County is a county in Southeast Connecticut which had more than 274,000 residents as of the most recent census. New London County encompasses the Norwich and New London Metropolitan statistical area and the county contains Indian reservations for four out of the five Indian tribes recognized by the state of Connecticut. New London County spans 772 square miles, of which 107 square miles is water. The county was first established in 1666 by an act of the Connecticut General Court, and the county is one of the four original counties within the state of Connecticut. Today, Connecticut College is located within New London County and is one of the leading liberal arts schools in the United States. Many locations within New London County are on the National Registrar of Historic Places, and New London County is also home to an art museum and a deep water harbor considered to be one of the finest on the eastern seaboard. We serve the following cities in New London County as well as all the surrounding communities. If you live in New London County we can help you. In New London County, 9.5 percent of households have someone 65 or older who is living alone in the household. Many seniors living independently will eventually begin to need help as they get older. These seniors can visit Senior Center CT to find out about resources and services provided to older people within this Connecticut county. There are education and outreach programs offered; supports to promote healthy aging; recreational programs; healthcare assistance; and many other services offered to help seniors maximize their quality of life. Seniors may also visit Senior Resources on Aging, which is a nonprofit organization in Connecticut that offers assistance to seniors on many different issues affecting their lives including housing, Medicare and healthcare issues, nutrition, disability, and more. The organization also provides support for grandparents and for family caregivers, and helps seniors to take advantage of community-based services. Aging can cause seniors to be faced with new limitations, and it is imperative for older people to understand what help and support they can take advantage of so they can live independently in their communities for as long as possible and so they can have the highest quality of life possible. Nirenstein, Horowitz & Associates helps not only seniors living within New London County, but also people of all different age groups. Our legal team is focused on making sure you use the legal tools you need to achieve financial security in the future, to address end of life and legacy issues, and to make sure you and your loved ones are prepared for the future. An elder law and estate planning attorney can do many different things to help clients prepare for what life brings to them, including offering advice on retirement investing, asset protection, wills and trusts, powers of attorney, and more. One of our goals is to help you to ensure your family does not have to go to court to get asset management authority or make difficult decisions about healthcare if you become incapacitated. We can also help you to secure your legacy through careful estate planning, which may involve taking steps to avoid the probate process so your family isn’t forced to wait months, spend money and go to court to get access to an inheritance after you pass away. We can also provide many other types of assistance aimed at helping you to accomplish your plans for yourself and your loved ones. Our approach to advising you is always tailored to meet your individual needs. Although estate planning and incapacity planning are geared towards keeping families out of court during times of stress, like when a medical emergency or death occurs, there are still situations where a probate court must become involved. If someone you love is incapacitated with no plan in place and you need to initiate guardianship proceedings, this must be done in the New London probate court if the incapacitated person lived within New London County. Likewise, probate after a death must take place within this same court if no estate plan was made to avoid the probate process. 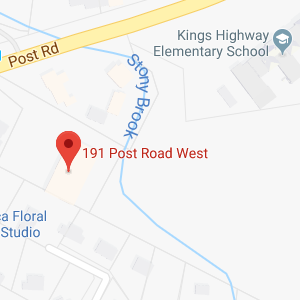 TheProbate Court for the County of New London is located on the first floor of 181 State Street in New London, CT 06320. The telephone number to call to reach this court is 860-437-8155 and the court can also receive faxes at 860-437-8155. If you must go to probate court for any reason, let Nirenstein, Horowitz & Associates provide you with representation during your legal proceedings so you can make certain you protect your own interests and the interests of your loved ones. A New London County probate lawyer at Nirenstein, Horowitz & Associates can help with all of the planning you need to do to achieve financial security and to protect your family. From retirement planning to incapacity planning to estate planning and beyond, we can help to make the law work for you. Give us a call at 860-548-1000 or contact us online to get help making your plans for the future.